← Olá da equipa de Portugal! In the last GAME project, the student teams found experimental evidence for the assumption that consumption rates of herbivorous invertebrates will increase when the ocean gets warmer. However, their experiment was (like all experiments) somehow limited, since they offered their test animals a mono-diet that did not give them the chance to change their food source. In this year’s GAME project, we will now investigate whether the food choice behaviour in marine invertebrates is also affected by water ocean warming. The project will already start in two weeks from now and it is therefore high time to inform you about the preparations for it. 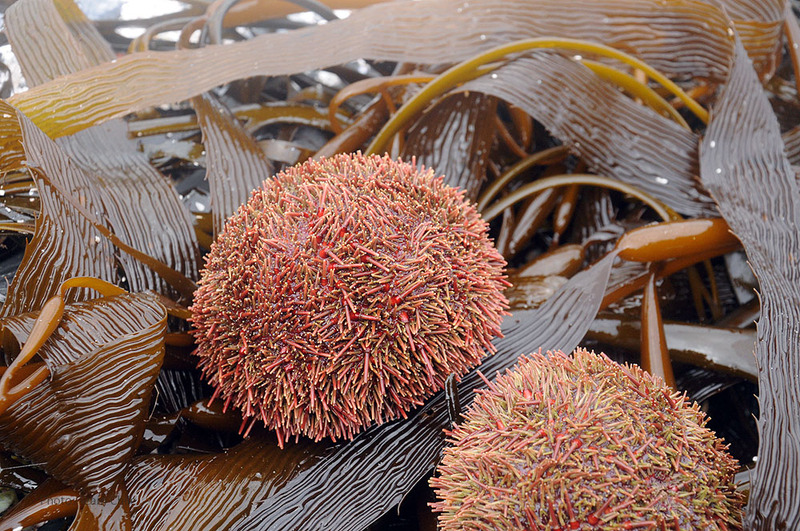 Sea urchins are important grazers in marine benthic systems, where they mostly feed on macroalgae. The initial plan for GAME 2018 was to investigate the influence of ocean warming on chemical communication processes in marine systems. This rather vague concept was refined during the GAME partner scientist meeting that took place at GEOMAR in Kiel last September. Our partners suggested to focus the topic by narrowing it down to prey recognition and prey choice in trophic interactions. This will also link the upcoming project more closely to the previous GAME study and would allow us to build on the knowledge that was gained during the last project. In 2017 the GAME teams measured consumption rates of benthic herbivores under different temperature regimes. 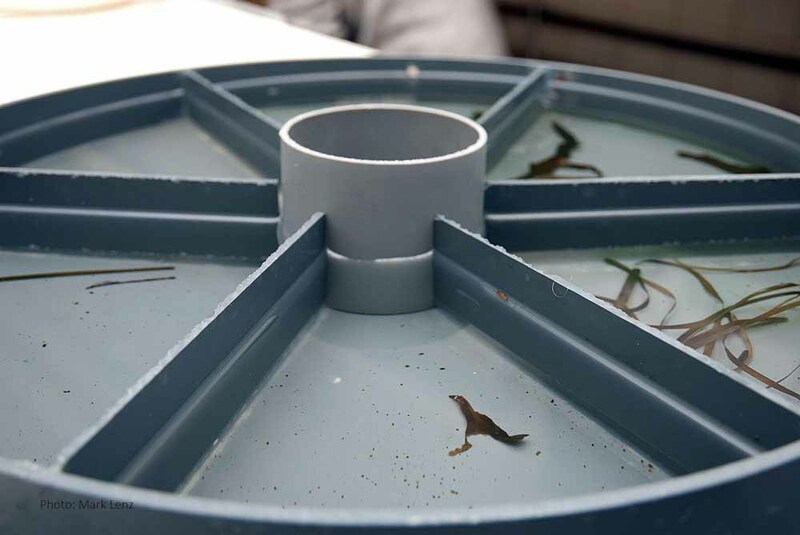 For this, the experimental units with the test individuals were placed in water baths that could be warmed by electric heaters.We will use a similar set-up again in this year. 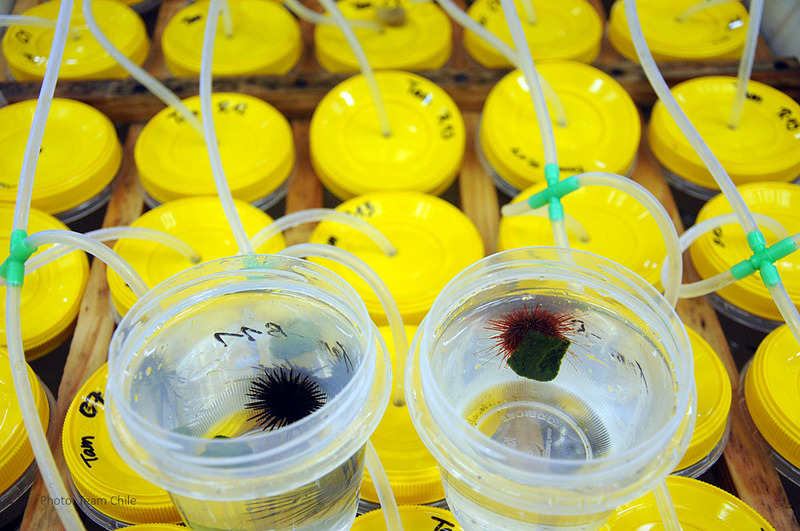 Temperature rise can affect both components of a consumer-resource system: On the one hand, accelerated metabolic rates as a consequence of higher temperatures can lead to an increased energy demand in the consumer, for example a sea urchin. On the other hand, it can also change the quality of its food organism, e.g. a macroalga, for instance by affecting its consistency, its synthesis of secondary metabolites or its overall nutrient content. Both changes can lead to a shift in the strength of a consumer-resource relationship and, in the most extreme case, to a complete change in the food preference of the consumer. This year’s GAME project will investigate if ocean warming can actually cause changes in the dietary choice behaviour of crustaceans, echinoderms or gastropods. Furthermore, it will test whether the effects are consistent across latitudes or whether consumers from tropical systems exhibit different reactions to warming than species that come from temperate environments. In January, Lisa Gassen, member of this year’s Team Israel, already started with working on the subject, when she did a month-long internship at GEOMAR. Lisa explored several experimental approaches to the topic and ran a test experiment with the omnivorous isopod Idotea baltica. 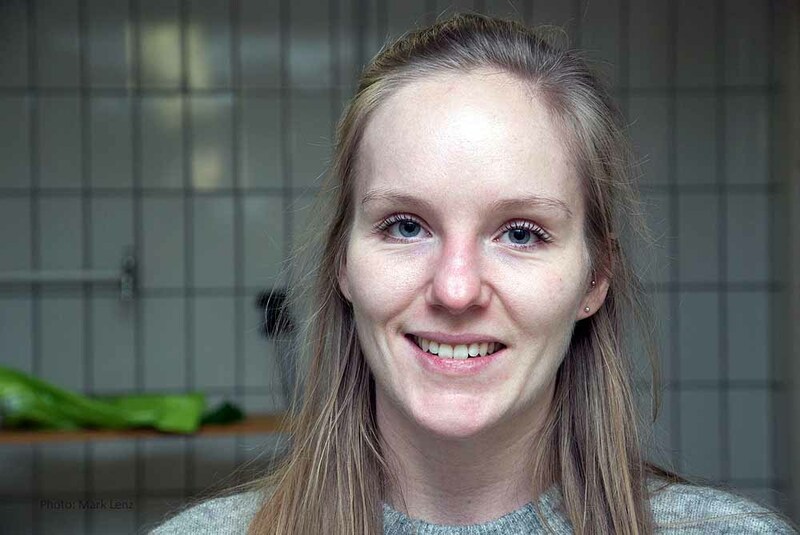 Lisa Gassen from Rostock University will join this year’s Team Israel. She did some very informative pilot studies on our topic during her internship at GEOMAR in January. The animals, which were originally collected in the Kiel Fjord, were previously acclimatized to a water temperature of 15°C. 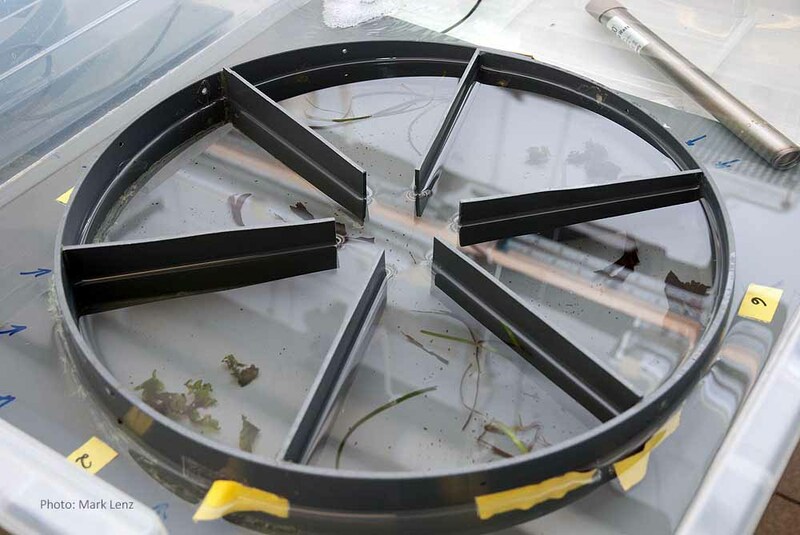 For the experiments, the isopods were individually placed in feeding arenas, i.e. circular tanks that were subdivided into several compartments. The compartments were equipped with fragments of different macrophyte species (one species per compartment), which all belong to the food spectrum of Idotea baltica: the bladder wrack Fucus vesiculosus, the green alga Ulva sp. and the eelgrass Zostera marina. Lisa then recorded the activity of the isopods (6 per temperature level), which were placed individually in the center of the arena, with a video camera for 12 hours. This arena was used for the choice assays. The grazer was placed in the cylinder in the middle of the arena to acclimatize it to the experimental set-up. After a while, the cylinder was removed and the ispopod could move freely inside the arena. 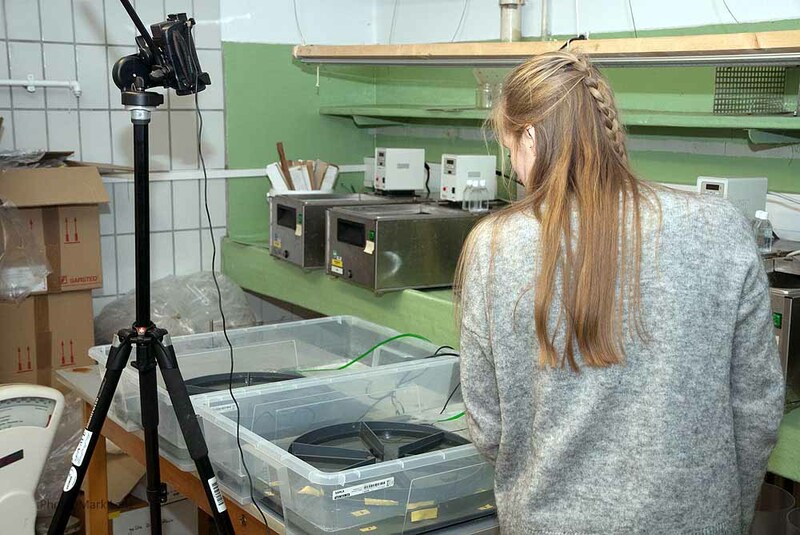 Lisa filmed the arena for 12 h to assess the preferences of the isopods. Finally, she inspected the fragments for feeding marks, analysed the videos and quantified the time spans, the animals spend on the different potential food sources. This experiment was repeated at three different water temperatures which correspond to summer conditions in the Kiel Fjord – from a ‘lousy summer’ to a heat wave scenario. Already this short experiment yielded an interesting result. At 15°C the isopod preferred Fucus vesiculosus, while at 19°C it spent most of the time on Zostera marina. Finally, at 23°C no preference was detectable. The preferred macrophytes also exhibited feeding marks, so the isopod obviously fed on the fragments and did not only cling to them to seek shelter. This preliminary finding motivates us to dive deeper into the topic. In March all participants of this year’s project will come to GEOMAR to develop the experimental approach for the global study. We will keep you updated about the progress of the project on oceanblogs.